Matt Ettinger, a former collegiate soccer player, has been coaching in some capacity for over 10 years. Having coached lacrosse, basketball, soccer, and track, Matt brings a lot of variety and experience to the table. 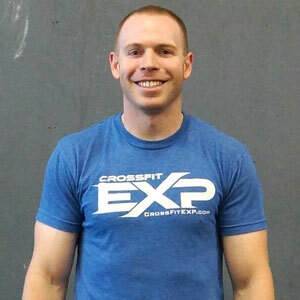 Coach Matt began CrossFitting in 2011 and began coaching at EXP in 2012. Matt’s genuine love for learning motivates him to continuously expand his expertise in the areas of health and fitness. Matt is particularly knowledgeable in the area of nutrition and actually considers learning about food and nutrition to be one of his greatest passions.